We are pleased to announce the newest addition to Bryan Electric’s service offerings, our Service Division. We are a full service electrical contractor serving customers in commercial, industrial and residential markets across the Southeast, 24 hours a day, seven days a week. Infrared Thermal Inspection – The use of Infrared Thermal imaging has been around for years; Bryan Electric uses it as one of our tools in Preventive Maintenance. An annual inspection can add years of life to switchgear and panels and warns you of a potential electrical failure. Energy Audits – With the increasing cost of electrical consumption and the ever evolving technology available to reduce cost to the consumer, Bryan Electric can provide real time energy analysis and provide solutions to increase your bottom line. Parking Lot Lighting – One of the most important areas we service is Parking Lot Lighting. Safety is always a concern for Bryan Electric and a well lit parking lot is a safe parking lot for customers and employees alike. With the new LED technology available, repairs are reduced to a minimum and energy bills are cut in half. The Bryan Electric team is available 24/7 to service all your lighting needs. Warehouse Lighting Upgrades – Lighting plays a key role in employee production and safety. With new lighting available in your work facility, not only can Bryan Electric help you save on energy costs, we can also increase productivity and safety by increasing workplace light levels. Service Change Outs – Today’s electrical systems are more complex then ever. With the introduction of solid state wiring everything from CNC machines to air handling units can be damaged by improper wiring. Modern wiring practices eliminate the potential for loss of equipment and/or down time. 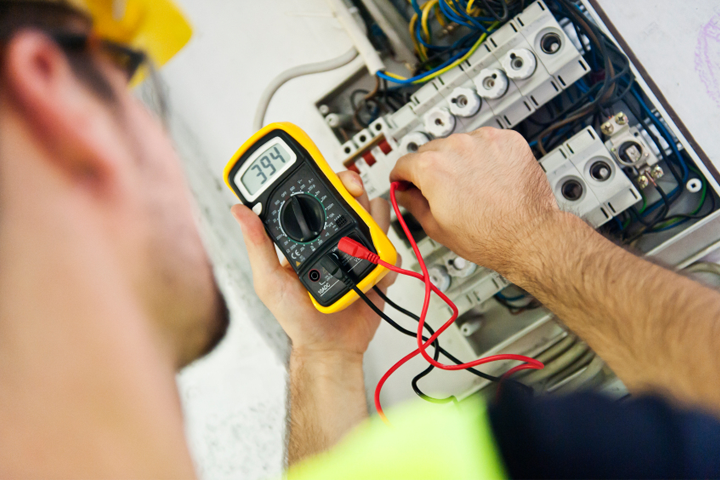 Bryan Electric can assess potential issues and provide solutions.